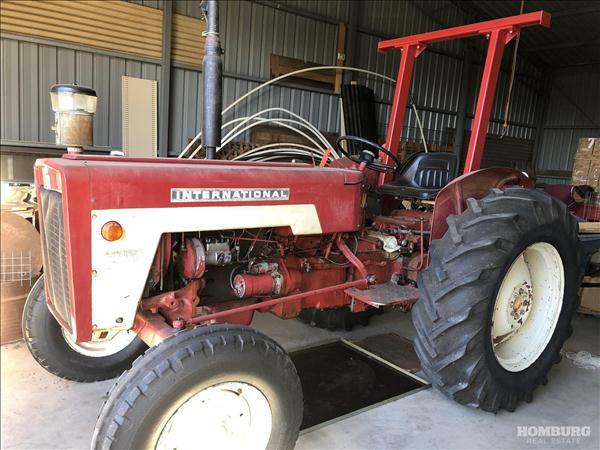 434 International Tractor – Dodger (v.g. order), Weeder attachments, 12’ x 7’ Bin trailer, Greenfield self propelled slasher, Single tyne ripper, 3pl Carryall, C-dax Systems 12 volt spreader, 12 volt 50 litre Silvan sprayer, New Vibrashank tynes, Hydraulic jack hammer, Small trailer, Welding table, Barford atom garden tractor with attachment (good order), 50 litre Electric mobile hand sprayer & battery operated, Motorised water pump (new), Fire fighter, Large quantity new & used steel, Ladders, Various gates, Weldmesh, Bricks, Droppers, Electric Pumps, Jute bags (near new), Jute wool bales, 2 x 600 litre Stainless steel variable capacity tanks, Falland barrel stands, Drenching guns etc., Canvas tarps + more. Bird Products – Breeding cages, Bird aviaries + more. Electronic organ (Kawai) & music, Reed organ (good working order), Floral supplies/vases, Crockery, Lots of plants, Shelving, Large selection orchids, Shade house stands, Boys pedal car, Various toys + sundries too numerous to mention. The home is filled with many original features and modified with a small extension, the original part of the home has been kept mostly intact. On entry to the home you are met with a grand central hallway that captures sunsetting dappled light through leadlight windows, a relaxing spectacle as your days unwind. The rooms are large with high ceilings and two have been kept with the original fireplaces, the lounge is updated with a modern marble front surprisingly installed in the 70’s that captures today’s modern décor. A large country style kitchen looks out over the northern views of the Barossa has direct access to the cellar and is warmed by the popular ‘Nectre’ combustion heater where you can leave your winter broth to simmer. Two large bedrooms at the front of the home have picture views to the south and where the open fires can be enjoyed. Two split-system air-conditioners help cool the home through summers hot spells. The extension includes the utility areas of a large laundry with excellent storage and a bathroom with separate shower and corner spa. Just through the back door is a high roofed verandah, taking in the views beyond and a short walk to the sheds and carport. The grounds improvements include a 60’ x 40’ 14’ shed with a 6” reinforced concrete floor. It is wired, and lighting installed, ready for the power to be connected. Another 8m x 6m shed sits adjacently. An original shed which captures the rustic charm of yesteryears sits in a prime position to run a business venture, be it for accommodation, dining, cellar door… the uses are only limited by your imagination and councils zoning restrictions. 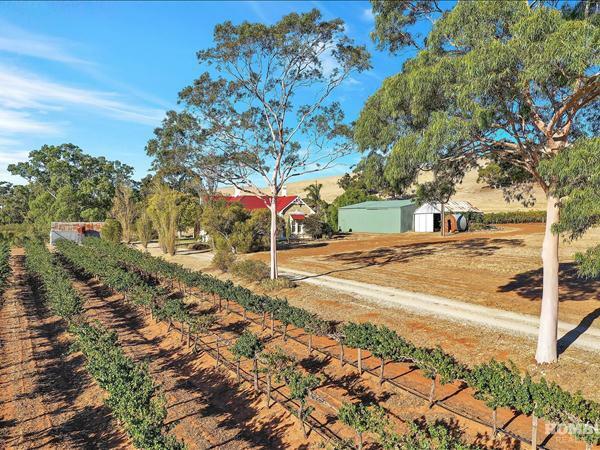 The area is ideal to extend the shed with decking, capturing the uninterrupted views and activities of the Barossa. A large dam across the way has been aligned within the boundaries of this property, surrounded by large gums and a back drop of rolling hills. As you wonder around the property some of its history shows itself. There is an old well and down beside the peppercorn tree on the edge of the creek lays the original underground cellar. This was used for curing meats and producing pottery. The area is well known for its heavy clay over loam soil which was perfect for this pursuit. The original mud brick cottage is now gone and sat where the large shed stands today. 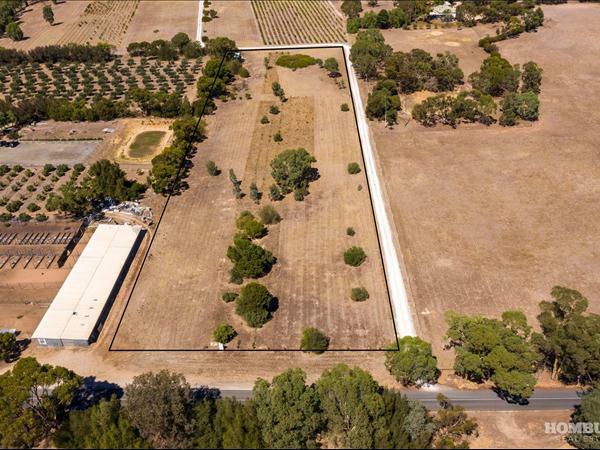 Remaining on the property is 2.5 acres of Shiraz and .75 acres of Cabernet Sauvignon with an area of approximately 9,000 sqm at the front of the home and behind the creek approximately 4400 sqm suitable for further plantings (subject to council consents). The family are very proud of their rare sixth generation grape grower status, who only surrendered their production on the illness of their father. Schild Estates have managed the vineyard since utilising the grapes in their premium labelled wines and have been doing so since 2014. It is with regret that the owners relinquish this property to the experienced hands of selling agent David Braunack who is honoured to present their stunning property for the first time in nearly fifty years for sale by Expressions of Interest, an opportunity often not seen in this area. To obtain an information memorandum please contact David Braunack 0418 841 349 or email david@homburg.com.au. “I encourage you to join me on the hillside and take in the beautiful surrounds this property offers”. Prestigious Seppeltsfield business and lifestyle in prime Barossa wine country; Vineyard, Residence & Award-Winning Luxury Accommodation. David Braunack is pleased to offer ‘Kooringa’ for sale by Expressions of Interest, closing on the 24th April at 5pm. 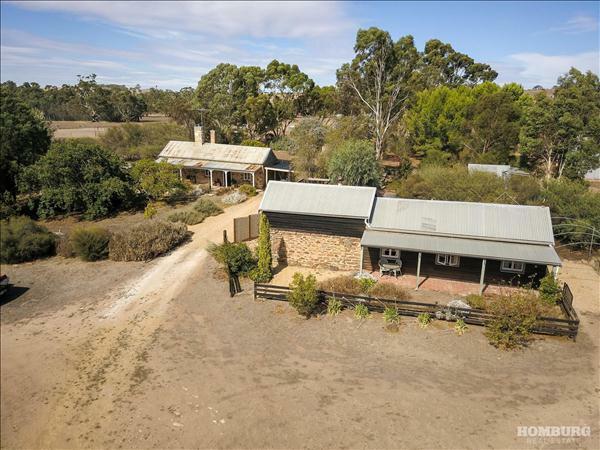 “I recommend your early inspection and expression of interest for this defining, unique Barossa tourism and lifestyle property”. For further information on this fabulous property, please contact the office on 08 8563 2599 or email david@homburg.com.au to request an Information Memorandum. Ebenezer is a highly regarded area in the G.I of the Barossa Valley and produces fruit for some of the countries best red wines. Ebenezer is known for its vibrant red dirt impregnated with ironstone. The property is approx. 24.28 Ha (approx. 60 acres). Legally described as Allotment 442 Filed Plan 173533 In The Area Named Ebenezer Hundred of Belvidere. More than 20 percent of Australian's wine is made in the Barossa Valley. It is the historical production centre of the Australian wine industry with all the major producers represented with a host of smaller producers reliant on local fruit. With a rich history dating back to 1842, the Barossa is arguably Australia's most famous wine region and is world renowned. Barossa Shiraz has made an indelible mark on the international wine scene. The leading wineries and vineyards include some of the most well-known names in the industry. The Barossa Valley is in South Australia, approximately 70 kilometres north-east of Adelaide, the state’s capital city. The region is geographically compact (approximately 40 kilometres by 30 kilometres) and it is only a short drive between the principal towns. This lovely and secluded location just off Seppeltsfield Road in the ‘Northern Grounds’ sub region of the Barossa Valley, offers a large homestead, bed & breakfast accommodation, good shedding and 6.52Ha Shiraz vineyard producing icon fruit with a protected scrubland area and meandering creek is being offered for sale by Expressions of Interest. A total land area of approximately 12.4 hectares is in the district of Light Regional Council. Zoned Primary Production in Policy area 2 of Precinct Area 14-Gomersal. Large five-bedroom home with study, two bathrooms and open plan family room, kitchen and dining area with a separate formal lounge. Built in 2004, with an equivalent main area of 226sqm, ducted reverse cycle air-conditioning and 2 Kw - 8 Panel Solar System, 10,000-gallon rainwater tank and carport for two vehicles. The large rear verandah overlooks the scenic backdrop of vines, gums and meandering creek, adjacent the home is a protected 2.1ha conservation area of native vegetation which include the glorious eucalypts, the humble acacias and breeze loving sheaok plantings which attracts natural flora and fauna to this stunning area. 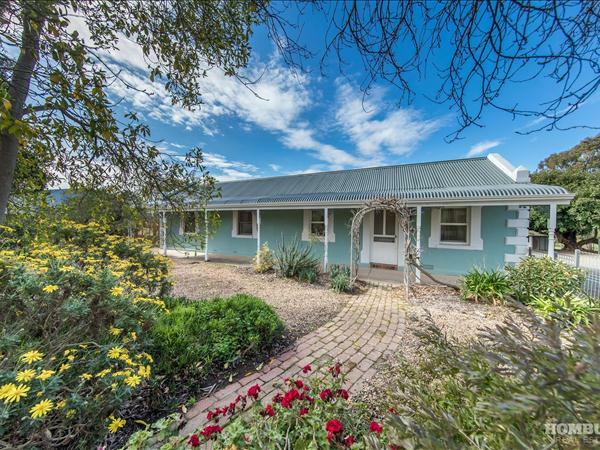 A beautiful circa 1880 cottage set within the rolling country hill-scapes has three bedrooms, separate lounge, kitchen with cellar, large family room with combustion heater is currently run as a fully self-contained B&B, full of country charm, is the perfect guest accommodation. Positioned in the sub region of the ‘Northern Grounds’ which includes Seppeltsfield, Marananga, Stone Well, Greenock, Moppa, Stockwell, Ebenezer and Kalimna. with an altitude between 280-450m. In a very tightly held area, currently held by the third family. The fruit from this property has made Grange and the owners have been in the ‘Grange Club’ since 2008. 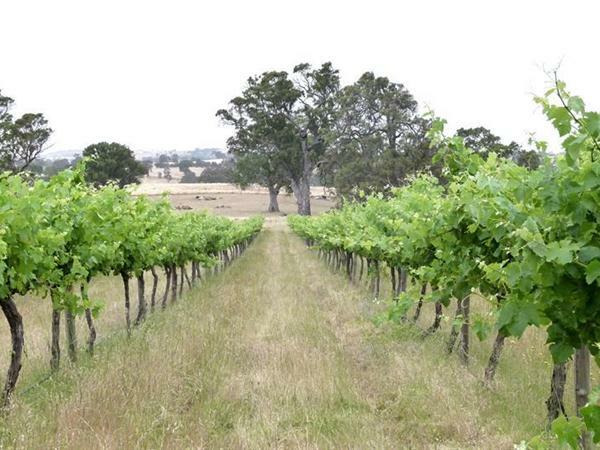 A total area of 6.52Ha (16.11 acres) planted to Shiraz.